Multiple sclerosis (MS) is one of those diseases that can slowly creep up on the body. It can take years to progress to the point where it starts to seriously impact a person’s life. This can be problematic, as the disease itself has no cure. Rather than erasing symptoms altogether, MS treatments usually take aim at slowing the progression of the disease. The goal is to preserve a person’s quality of life for as long as possible. Many people don’t know what the first signs of MS are. And, in fact, this is true for many doctors as well, in the sense that they may misdiagnose symptoms, chalking them up to some other health condition. With that in mind, it may be useful to know some of the early warning signs of MS.
MS is an autoimmune disease that attacks the nerve fibers in the brain and spinal cord. It affects an estimated 350,000 people in the U.S. Sometimes MS will trigger vision problems because it attacks the optic nerve. This can cause your eyes to hurt when you move them. It is common for only one eye to be affected. MS can also cause double vision or blurry vision and uncontrollable eye movements. MS can trigger what medical experts call benign positional vertigo. Benign positional vertigo can cause you to feel unbalanced when you step off a curb, over an obstacle or when getting up after lying down. You might notice that your legs or feet feel numb or tingly. The feeling is similar to that experienced when your feet “fall asleep,” except that it’s not caused by cutting off your circulation. When your nerve signals are disrupted, your body can rapidly change temperature from hot to cold. These temperature changes usually start in the hands or feet and radiate towards the body. MS can cause you to become constipated. The condition can also trigger weight gain and symptoms of bloating. All of the above symptoms can happen in a random order that leaves you wondering what the heck is going on with your body. An episode of tremors might be followed by vision problems and then a bout of constipation. MS can cause your muscles to feel weak or to cramp and spasm. You might find it difficult to coordinate the muscles in your hands or feet. MS can make you feel as if you’ve suddenly developed a case of clumsiness. MS can affect brain function. It may become more difficult to concentrate and you may lose your memory for names and words. 9. Your symptoms may disappear without warning only to reappear at a future date. 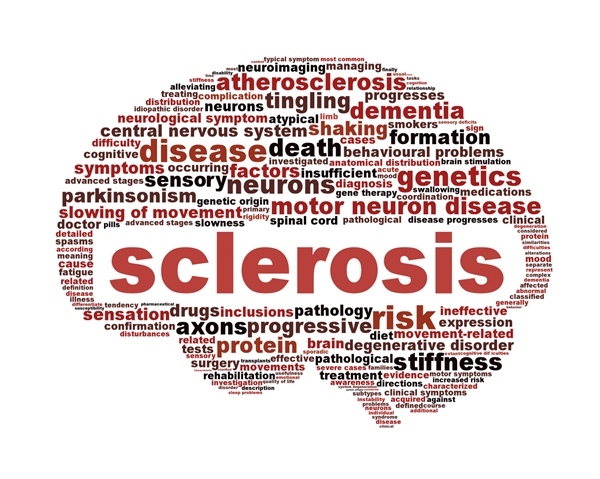 MS is often paired with the medical phrase “relapsing and remitting.” This is because the disease often comes and goes, presenting a set of symptoms and then going into remission. Fatigue is a very common symptom of MS. Unfortunately, fatigue is also caused by just about every other illness you can think of. The type of exhaustion felt by MS sufferers tends to be sudden and intense. You may find that you can hardly will your body to move and perform a simple task such as getting out of bed or walking up the stairs. By knowing these warning signs for MS, you could be helping to make sure that you get treatment for the condition before it starts to seriously impact your quality of life. Haiken, M., “10 Early Signs of Multiple Sclerosis,” Caring.com web site; https://www.caring.com/articles/multiple-sclerosis-symptoms, last accessed Dec. 11, 2013. “Symptom Management,” National Multiple Sclerosis Society web site; http://www.nationalmssociety.org/For-Professionals/Clinical-Care/Managing-MS/Symptom-Management, last accessed Dec. 11, 2013.